Sewing scissors come in many shapes and sizes. Apart from fabric these are a well used tool in the sewing room. Finding the right type and design these should really be chosen by the person who is going to use them. This is especially true with the fabric shears. Everybody's hands are different and where one design is very comfortable to one person they may rub on areas of another persons hands. It is best to try and buy the best affordable quality to give a good cut, these are usually stainless steel. 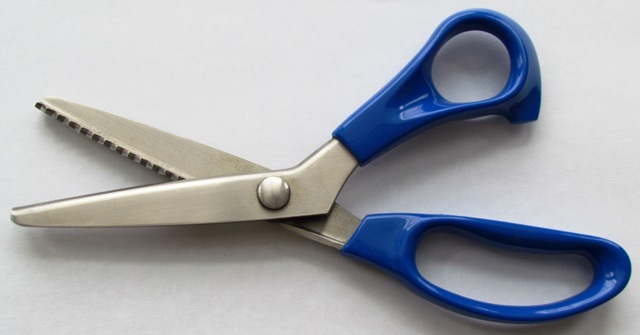 These scissors also should not be used for any other household cutting and should be kept for fabric only. Cutting string, cardboard or paper will make them blunt to cut and may damage the fabric not to mention the stress on the wrist. 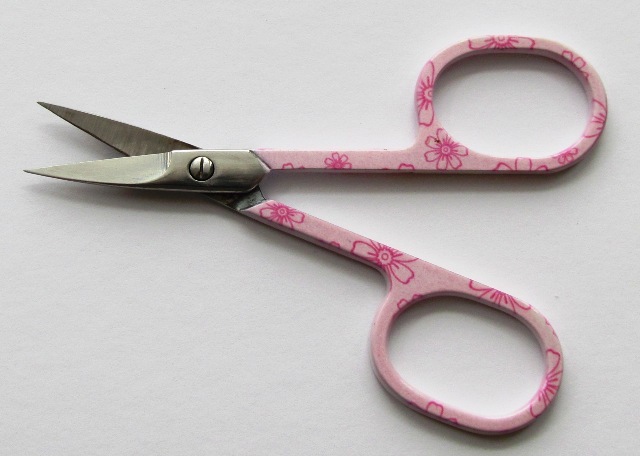 Sewing Shears - These are very much the main tool in the sewing box and these should be very good quality. These come in different sizes to suit different sized hands and left and right hand usage as well. These have a bent handle with one bigger than the other. The smaller handle is usually worked by the thumb and the larger one for the fingers. These are used for cutting around patterns and making notches so are best if kept sharp. 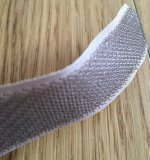 The blades of these cut with a zig zag shape and can finish off a seam to stop fraying or give felt or bunting a decorative edge. These again have to be good quality to give a good cut and not damage the fabric. Another type of fabric scissors apart from the shears, these have the same sized handles and can be used for trimming seams and cutting the facings. 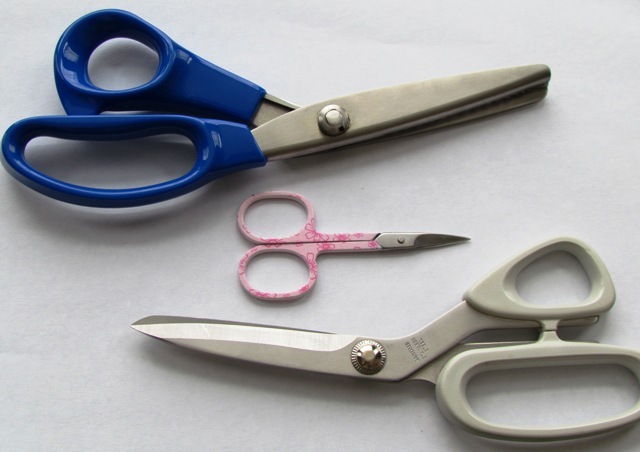 These scissors usually have one straight end and one rounded to cut the fabric well and come in different sizes. 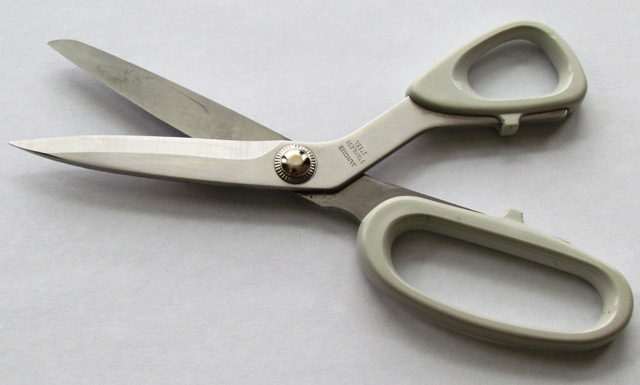 These are best for smaller jobs such as thread cutting where the larger shears may be a little cumbersome. 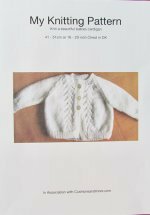 They also have to be quite sharp so that the thread is cut cleanly especially if threading the machine needle and can be used for difficult fabric cutting if the size is too small for the larger ones. Many shopping outlets have a good range of scissors such as Minerva Crafts and Homecrafts. 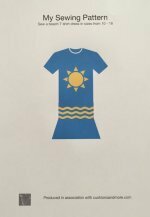 There is an Amazon link to help with your choice.